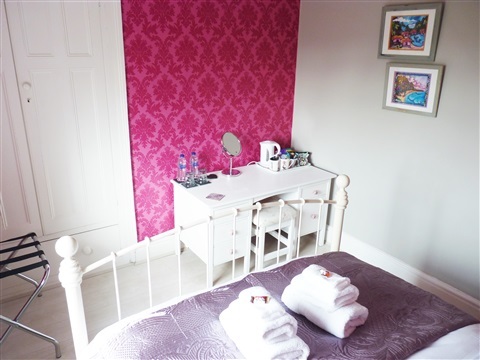 Our comfortable, bright and spacious double bedroom, beautifully decorated. Plenty of wardrobe space, dressing table and a hairdryer for guests use. 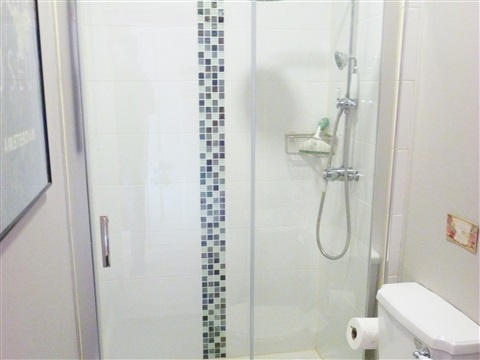 Tea and coffee making facilities together with bottled drinking water. 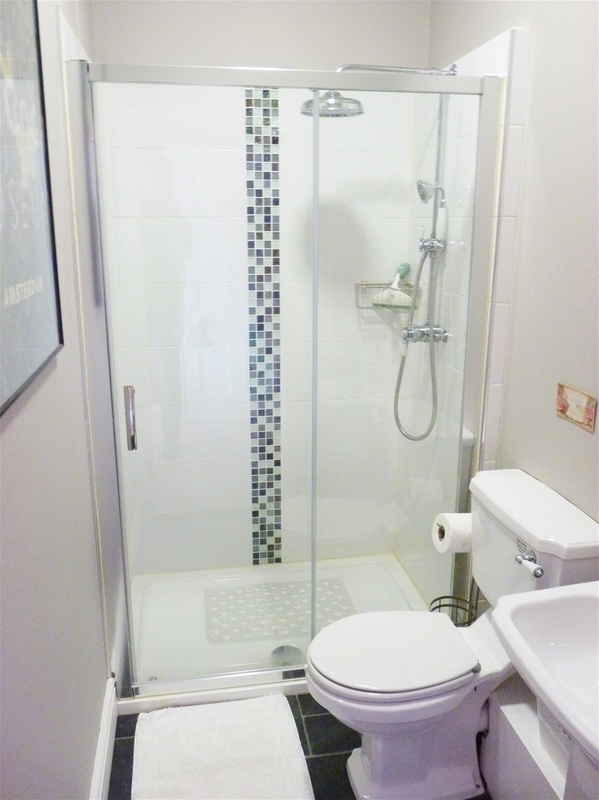 Complete with newly installed modern ensuite shower room, featuring spacious cubicle with overhead rain style shower, hand basin and W.C. and lovely complimentary toiletries. 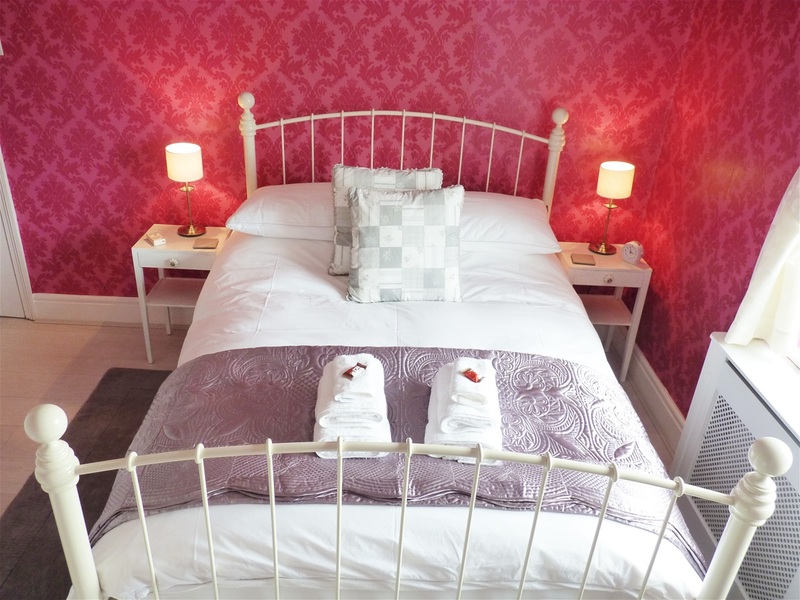 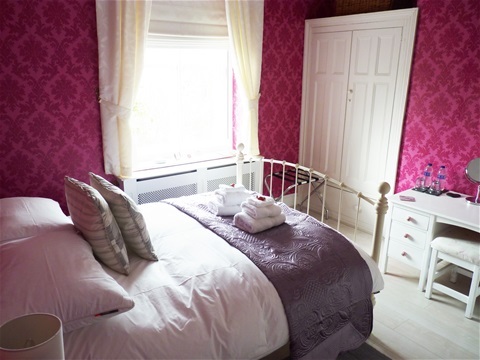 The price of the Pink Room is £80.00 per night for 2 people, which includes full breakfast.